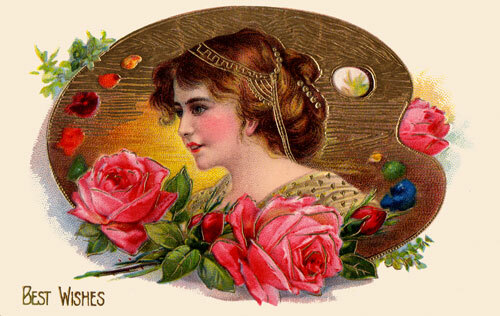 Mother’s Day: Celebrate Sunday, May 8th with care2 e-cards!!! care2 has been providing wonderful online cards for years. Did you know that with each card, a charity around the world is supported. Use care2 greeting cards to send your loved ones absolutely wonderful messages. A Celebration of Women supports care2. These Mother’s Day cards are absolutely FREE! Enjoy sending love to all the Mothers in your Life. This is the largest card-sending holiday for the Hispanic community. Depending on the country, Mother’s Day is celebrated on many different days throughout the year. In Mexico, it is always celebrated May 10. Sending a Mother’s Day card to the mom in your life is a must-do for this Mother’s Day. A Mother’s Day card is a small gesture that you can use to really convey your feelings of love and gratitude towards your mom. You’ll find Mother’s Day cards below that are both printable and electronic so no matter what your situation it’s easy and affordable to send your mom a Mother’s Day card this year. Tip: Include a Mother’s Day poem in your Mother’s Day card to make it even more special. This list of free printable Mother’s Day cards has ten beautiful options that you can print out and mail or hand deliver to your mom this Mother’s Day. You’ll find traditional Mother’s Day cards, Mother’s Day gift enclosure cards, Mother’s Day photo cards, Mother’s Day cards that can be customized, and even a Mother’s Day card for the little ones that can be printed out and colored. These are truly a group of gorgeous Mother’s Day cards that will put a smile on mom’s face and make her tuck it away for safe keeping. Mother’s Day is observed across a wide range of relationships. In addition to mothers, grandmothers and wives, the celebration extends to daughters, sisters, aunts, mothers of loved ones, friends, and any others who play a mother-like role. sends our blessings and gratitude to all the Mothers in our world. where ever you are in our world! I do like the way you have framed this specific situation and it does give us some fodder for consideration. On the other hand, coming from what I have seen, I only wish as the feedback pack on that men and women stay on point and not start on a tirade associated with the news du jour. Still, thank you for this superb point and even though I can not go along with the idea in totality, I regard the standpoint.